An ambitious fantasy that sometimes borders on being rather silly, The Prophecy is redeemed by excellent pace, imaginative direction and a very credible cast. Thomas Dagget is a police detective who has a history with religion. Many years before, he wanted to become a priest and even wrote a study on the subject of religious history, but after seeing a viciously violent vision of heaven in turmoil he suffered a crisis of faith. So when his religious text is found at a murder scene of an unusual victim, he is called in to investigate. The belongings to the strange creature, which is in fact a dark fallen angel, include an unknown entry into the bible that speaks of a dark soul entering heaven. Thomas soon realises he has stepped into something much darker than he ever imagined and must now face the brewing war between angels that has been predicted centuries before. This won’t be easy as Gabriel has arrived on Earth, angered by God’s rejection and compassion for humans, and now wants to collect the evil soul of a recently deceased colonel. If Gabriel manages to claim the soul and take it back to heaven, then the once peaceful resting place will become overrun with the most evil force there is. Complicating matters for the vicious and very angry Gabriel is that Simon, an angel on the good side of the civil war between seraphs, has got it and placed it inside the body of Mary, a young Native American girl. The young girl soon becomes strangely ill and suffers bouts of possession as the evil spirit inside her takes control. Travelling to Mary’s home town and teaming up with Mary’s caring schoolteacher Katherine and later an unexpected ally in Lucifer, Thomas must find Mary and keep her from the claws of Gabriel as he moves in ever so quickly to his goal of bringing the evil to heaven and tipping the balance in his favour. As writer and director, Gregory Widen fashions a strange movie in the form of The Prophecy. I must say he brings many dark possibilities to the table and mixes them with religious overtones to a very successful degree. And as hokey as some of the plot is, his assured sense of pace and knack for the unusual keeps the story ticking over nicely with some creepy touches here and there. Admittedly, some of the ideas within The Prophecy become lost in the scheme of things and some needed expansion to be fully interesting. But stylish visuals and a dark sense of humour, provided by both Gabriel and a threatened Lucifer make this exercise in religiously tinged fantasy something to watch. Horror elements abound along with the fantasy, crafting some really brutal scenes of an angelic battleground, a young girl suffering horrifying possessions and Gabriel’s methods of eliminating of those in his way. Some say The Prophecy functions as a thriller of sorts and to a certain extent that’s true, but it works best as a fantasy horror. A superb score of choral voices and marauding drums accentuates the religious overtones of this movie. Christopher Walken is the real show stopper of the movie, playing the unusual Gabriel. 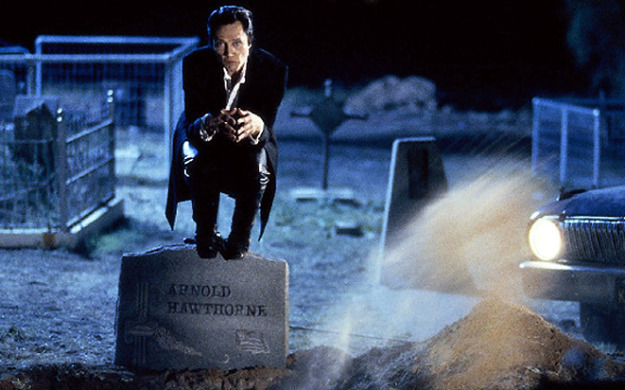 Wrapping the character in a cloak of warped anger, rejected hate and an undeniably morbid sense of humour, Walken clearly is having a great time portraying the fallen seraph, desperate for revenge. It’s safe to say that Walken owns the film with his expertise in the weird and wonderful put on spellbinding show. 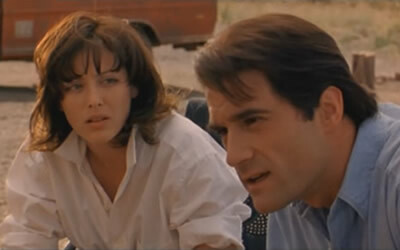 Elias Koteas brings a gravity and sense of disbelief to this character, despite the part being written rather sketchily. The same goes for Virginia Madsen, who exudes compassion and determination as an ally in the battle against angels. Eric Stoltz is appropriately tense and desperate as Simon, the angel who is tasked with hiding away the dark soul that could reignite the brewing war. 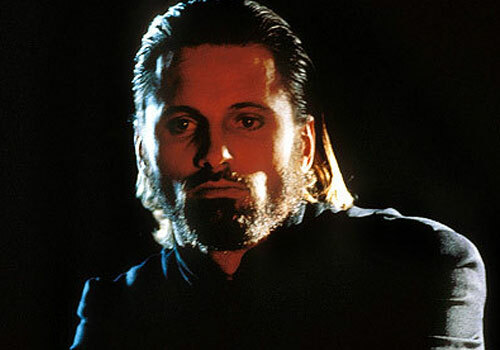 Viggo Mortensen, who may only be seen for around 10 minutes, relishes the part of Lucifer, who feels that his dominion over evil is being threatened and forms an unlikely alliance with the humans. Mortensen savours playing the delightfully corrupt character who is not going to let his hold over all things dark be challenged. Moriah Shining Dove Snyder as the young Mary, who becomes taken over by the dark soul residing in her, is actually very good, being sweet one minute and then unnerving because of the possession the next. 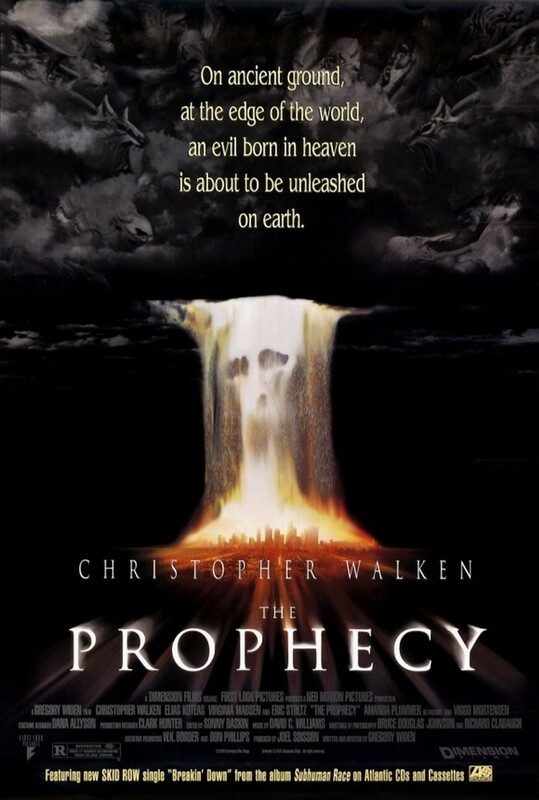 Overblown to be sure, but well executed and acted with capability, The Prophecy is if nothing more an interesting fantasy with heavy religious overtones. 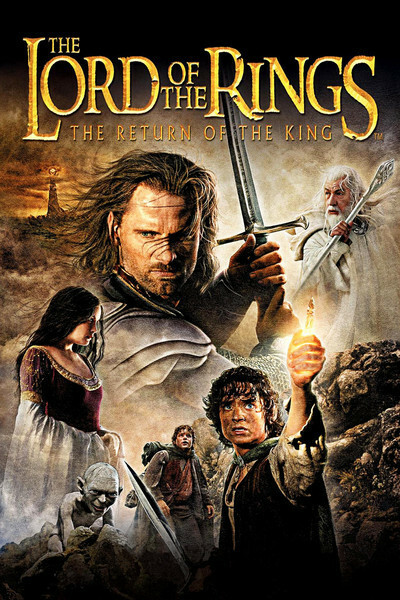 Rounding out my marathon of the Lord of the Rings trilogy is the grand and unbeatable Return of the King. It has been great reviewing these outstanding films and I hope that the other bloggers have enjoyed it as well. Winner of a staggering 11 Oscars, including Best Picture, Peter Jackson once again creates a film of such beautiful and emotional scope. 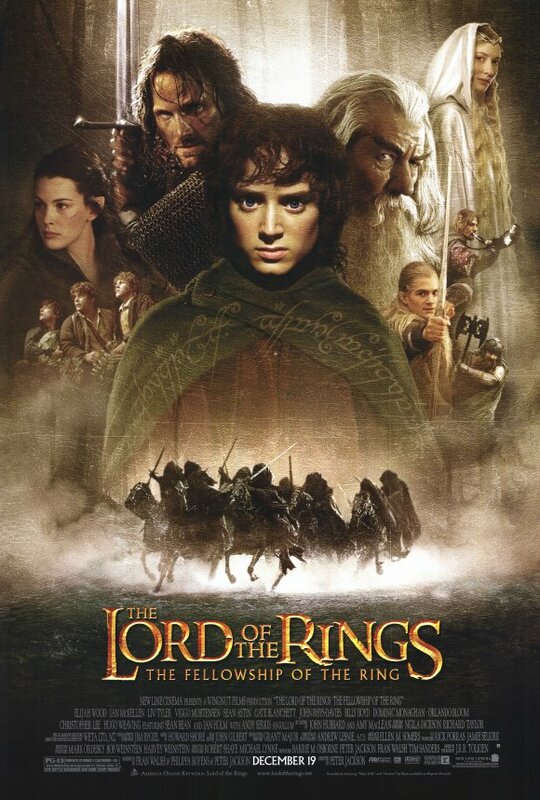 Focusing on Frodo as he reaches Mount Doom, Aragorn’s taking of kingship and earth shattering battles, Return of the King is a fantasy epic of the highest order that is certain to blow you away. Frodo continues his quest to destroy the ring with Sam and the ever changeable Gollum, whose desire for the ring is growing more dangerous by the day. Day by day, Gollum conspires to drive the two friends apart in order to gain access to the ring. Meanwhile Aragorn claims the throne of Gondor and begins to raise an army of the dead to fight against the forces of Sauron that are quickly taking control over Middle Earth. Aided by friends, the time has come for Aragorn to fight and Frodo to prosper as he nears the end of his quest. Prepare for the epic spectacle of Return of the King, it will most certainly take your breath away. If I could describe The Return of the King in one word it would be spellbinding. From absolutely stunning locations to fierce battles and the perils of various creatures, Peter Jackson never loses out attention for a single minute. He deservedly won the Best Director Oscar for his awe-inspiring and deft direction. By the end of the film, you feel so close to these characters and feel as if you’ve been on the epic journey with them right until the end. The smart screenplay is mainly the reason for this as the film nears its end, we get to see the impact the ring has on each of the characters within the narrative. As in the other films, the score is an evocative and dramatic listen that soars with emotional dexterity. While watching the film, I really didn’t want it end as it was just so involving for me. Moments in this film will forever be indelible in my mind. Some of these are Arwen’s vision of the future that persuades her to wait for Aragorn and armies rising just before battle as Aragorn, tears in his eyes utters “For Frodo”. As he says these words you understand the loyalty and friendship that is shared and the power of it. The ensemble cast is a richly talented who have created indelible characters. Elijah Wood continues to impress as the stout-hearted Frodo, who is nearing the end of the journey whilst overcoming many obstacles. Ian McKellen is another highlight as Gandalf, while Viggo Mortensen gives one of the strongest performances as the returned king Aragorn. Sean Astin is still impressive as the good friend Sam, who has helped bring Frodo this far with his own will and determination. The scene of Frodo and Sam comforting one another, their faces dirty, their eyes red from crying but their spirits still strong, is an undeniably moving moment in a trilogy of memorable scenes. Andy Serkis is amazing as the demented Gollum, now almost completely consumed with the power of the ring and poisoning Frodo against those closest. With the power of CGI and Serkis embodying Gollum’s wiry movements to unnatural fashion, Gollum is a memorable masterwork. Fleshing out the other members fighting with Aragorn are the reliable John Rhys-Davies and Orlando Bloom as Gimli and Legolas. Liv Tyler is moving as Arwen, who has renounced her immortality as a means of staying with her one true love Aragorn. Miranda Otto has an expanded role as Éowyn, here showing the mental and physical strength to fight in battle. Billy Boyd and Dominic Monaghan are still as plucky as ever as Pippin and Merry. Bernard Hill is very good as the brave King Théoden, while Cate Blanchett radiates ethereal beauty and deep wisdom as the elf Galadriel. Hugo Weaving and David Wenham reappear successfully as Elrond and Faramir. John Noble provides the interesting character of Denethor, a stand in ruler who is weak-willed and snake-like. Karl Urban rounds out the cast as the knight Éomer. Stunningly mounted, emotionally gripping and all round magical, The Return of the King is all you could ask for in a fantasy movie and more. Now for the second entry into my Lord of the Rings marathon. Picking up where Fellowship of the Ring left off, The Two Towers is a superb continuation to this engaging trilogy that balances great characters, mythology and some of the best battle scenes ever put on film. Darker than its predecessor, Two Towers is just as good as the first and introduces us to more engaging characters who populate the lands of Middle Earth. If this doesn’t get you excited for the final concluding entry in the trilogy, I don’t know what will. With the Fellowship now fractured and Gandalf sacrificing himself in the mines, the various factions that remain continue travelling. In one segment, Frodo and Sam continue the perilous journey to destroy the evil ring and are joined by Gollum, the ring’s former owner whose life was tortured by his desire to the ring and the inability to resist taking it. Gollum knows the way to Mordor, but Sam distrusts him and warns Frodo about what Gollum may do. In another strand; Aragorn, Gimli and Legolas travel to Rohan which is about to come under attack from the forces of Sauron. Along the way, they encounter an old ally. A now reborn and stronger Gandalf who aids them in bringing the king of Rohan, Théoden out from under the spell cast by Gríma Wormtongue, one of Saruman the dark wizard’s workers. And in the other segment, Merry and Pippin flee after being captured by orcs into the forest where Treebeard, an ent who listens to them and journey’s on. Busting apart the common idea that the middle film of a series is the weakest, The Two Towers contains gorgeous locations, breathtaking scope and the all round magical feeling of a fantasy quest you will never want to leave. Peter Jackson again fashions a fantasy epic of staggering proportions with this entry. Having three separate story strands could have been a risky move, but in this case it pays off handsomely as we watch not just one journey, but three. This entry also focuses more on Aragorn as a character and his emergence as a skilled warrior who may finally have to reclaim his right to the throne in the future. As is to be expected from an epic like this, the locations are spectacularly captured in long panning shots as mountains, dales and volcanos come into view.You watch scenes like this and really understand the unparalleled power and splendour that Jackson has brought to the screen. Peter Jackson handsomely combines action with an emotionally involving hero’s journey to overcome the forces of evil whilst battling against the many foes along the way. The Battle at Helm’s Deep is in my book one of the best battle sequences recorded on film, the sheer scope and meticulous craft on display is so mesmerizing as Aragorn leads men against the orcs and other forces of darkness. Once again, the vast ensemble cast delivers, with newer additions adding impact along the way. Elijah Wood successfully continues his role as Frodo, here showing the burden that has been put on him and how he attempts to remain resilient to the dominating force of the ring. Ian McKellen shines as the resurrected Gandalf, who is as wise and powerful as he ever was. The scene when he appears to Aragorn, Gimli and Legolas in a vast array of light is a stunning sight to behold. Sam Astin continues to impress as loyal Sam, in this film it is Sam who really anchors it and functions as the narrative’s heart as we watch his friendship tested but never loses faith in his friend. Viggo Mortensen is given more of a fleshed out character here, this further adds to the interesting dimensions of his character of Aragorn. He is strong, hopeful and above all a brave character, embodied by Mortensen with outstanding skill. It is Andy Serkis who makes the biggest impact in the film. His fluid and strange movements combined with amazing CGI create the character of Gollum, the one who once owned the ring that has poisoned his mind forever. Gollum is an interesting character in that sometimes you feel utter revulsion for him, whereas on the other hand he is sympathetic as you see how the powerful ring of the title has shattered his sanity. Liv Tyler continues her luminous portrayal of Arwen, Aragorn’s elf lover who has now left her immortality much to the chagrin of her father. There is a beautiful scene in which Elrond predicts a melancholy for her and Arwen begins to cry. Instead of giving up on her love she replies “There is still hope” in a sincere and emotion filled voice, as the tears run down her pale face. Miranda Otto is beautiful and strong as the king’s niece Éowyn, who falls for Aragorn along the way. David Wenham plays Faramir, brother of the late Boromir, whose path crosses with Frodo’s. Orlando Bloom and John Rhys-Davies are on form as Legolas and Gimli, their characters adding a certain amount of banter to the proceedings. Billy Boyd and Dominic Monaghan are as good as before as Pippin and Merry, who evade capture by hiding in the woods. Bernard Hill is suitably imperial as Théoden, the king given his life back by Gandalf after being a zombie for Sauron. In a small but memorable role, Cate Blanchett reappears as the wise Galadriel, who predicts what may happen if the war comes into fruition. Christopher Lee is villainy personified as the fallen Saruman, now heading a war against mankind. Hugo Weaving is stately and wise as the elf lord Elrond, while Karl Urban is a success as the exiled heir and Brad Dourif a slimy presence as a force of evil. A stunningly mounted second entry into an exciting and emotionally involving saga, The Two Towers is not to be missed by anyone. The other day, I was rooting through my DVD collection when I came across The Lord of the Rings Trilogy. It has been an age since I last saw the films and so along with my brother I sat down and watched the films in one go. To say the experience was epic is an understatement. To start my reviews of the trilogy is The Fellowship of the Ring. Many said it was unfilmable but Peter Jackson sure proved them wrong. The Lord of the Rings: The Fellowship of the Rings is the absorbing, stunningly executed and all round epic first entry into the trilogy. Fantasy has rarely looked this amazing and majestic onscreen and I may just run out of adjectives to describe the sheer scope and beauty of the film. Anyway enough of my rambling, onto the review. Set in the vast lands of Middle Earth, Fellowship follows the tale of Frodo Baggins, a young hobbit living peacefully in the Shire who is entrusted with a dangerous task. His uncle Bilbo is leaving the Shire to live with the elves of Rivendell. He leaves Frodo a ring, yet this is no ordinary ring. It is the ring of power, forged centuries ago by the dark lord Sauron. There were originally other rings forged given to the different races of Middle Earth. Bound in the ring is the power to dominate the other bearers of rings and succumb to the rings dark trappings. Sauron was believed dead but his presence has survived and is now intent on retrieving the ring. Upon hearing of the ring, Bilbo’s old friend, the wise wizard Gandalf instructs Frodo to flee the Shire as the forces of darkness will soon come looking for him. Aiding Frodo is his loyal best friend Sam and two others hobbits named Merry and Pippin. Later he is joined by a mysterious ranger Aragorn who has a claim to a throne, archer and elf Legolas, dwarf Gimli and warrior Boromir. The future of Middle Earth is at peril because of the ring and only by destroying it can the danger it brings be erased. And so Frodo sets off with the others, known as the Fellowship, on a perilous journey to destroy the evil ring before it falls into the wrong hands. Prepare for a handsomely mounted fantasy tale of bravery, kinship and a dangerous quest filled with uncertainty directed with dedication and visual splendour by Peter Jackson. The first thing to praise in Fellowship is the New Zealand locations that make up the vast lands of Middle Earth. Mountains, woodlands and vast fields appear breathtaking and we as an audience are sucked into the arduous journey that Frodo must take. The intelligent screenplay gives us a thrilling fantasy adventure with characters we can root for and features some amazing fight scenes against the dark forces that terrorise Middle Earth. We become immersed in the various legends that abound and the various people who make up the lands. Also, we get see the friendships of the main characters, embodied by the loyal and sincere Sam who would do anything for his best friend Frodo. Sonically, Fellowship is a marvel. From the high-pitched screech of the Nazgul, wraith like beings attempting to return the ring to the dark lord to the evocative and splendid score by Howard Shore, it really is amazing to say the least. Special effects are of the highest order, creating menacing beings such as the vicious orcs and a particularly memorable cave troll. The many fight scenes are executed to excellent standards, especially when the Fellowship face the orcs. Fellowship of the Ring is a film of many memorable moments it really is hard to choose just a few to mention. Highlights for me are the chase of Arwen, a beautiful she elf who risks her life to save Frodo from death, by the evil Nazgul through woodlands, the Fellowship battling orcs in a catacomb and the kissing of Frodo’s forehead for good luck by Galadriel, a wise elf of immense power and wisdom. But the biggest impact on the film is made by the supremely talented cast assembled to flesh out the various beings of this fantasy tale. Heading this is the ideal casting of Elijah Wood as Frodo, the one who the task weighs heavily upon. Wood embodies the initially frightened realisation of his task and later his bravery that will lead him on his way. Ian McKellen is excellent as the wizard Gandalf, showing us the wise man with immense power who is an invaluable ally on the quest. As the loyal, stout-hearted Sam, Sean Astin is perfectly cast as he is one of the driving forces behind Frodo. Without Sam’s wisdom and pluck, Frodo’s journey would not have been as interesting. Viggo Mortensen is suitably heroic as the skilled ranger Aragorn, while Liv Tyler is earnest and beautiful as Arwen, the elf who he has fallen in love with. Their relationship is beautifully observed as we watch the conflicted desires of both as Arwen questions whether to give up her immortality for love, her line ” I would rather share one lifetime with you than face all the Ages of this world alone” is haunting. Cate Blanchett is suitably ethereal and full of intelligence as Galadriel, the presence of her engaging voice in the prologue of the ring’s journey is a stroke of genius. John Rhys-Davies provides some comic relief as the belligerent dwarf Gimli, further adding to this humour is Billy Boyd and Dominic Monaghan as the mischievous Pippin and Merry. Christopher Lee is gleefully evil as the wizard who has turned to the dark side. Orlando Bloom makes for a skilled ally of Legolas, an elf with a talent for archery. Hugo Weaving exudes respectability as Elrond, lord of the elves while Sean Bean makes a deep impression as Boromir. In the small but pivotal role of Bilbo, the one who found the ring, Ian Holm shines. 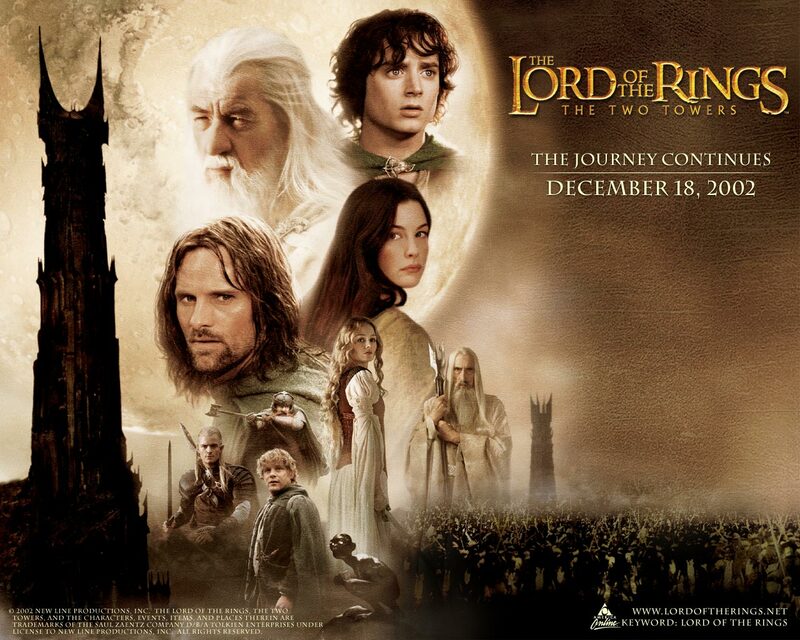 Crafted with meticulous and faithful detail by Peter Jackson, Fellowship of the Ring is a fantasy film to treasure for its engaging storyline, glorious scenery and its ability to transport us into a world of magic, danger and hope.